From Beaune to Nolay, the Voie des Vignes (Way of the Vines) takes you on small roads through villages with prestigious names: Pommard, Meursault and Puligny-Montrachet. From Santenay, a greenway takes over the route with two options: Chagny and the lively banks of the Canal du Centre, or Nolay along a route that winds gently along the hillsides of Maranges. At the end of the trail, near the beautiful medieval town of Nolaytoise, two viaducts offer a wonderful panorama over the countryside. 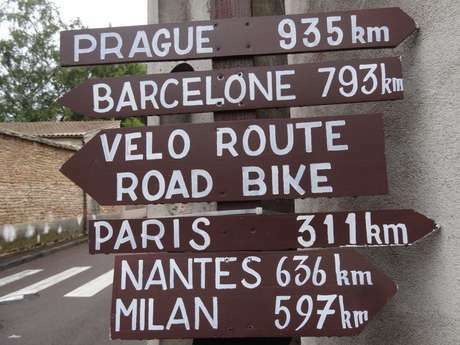 - You want to discover the region by bike, have an afternoon’s ride, or several days of touring? Here are some tips and useful addresses, depending on what you’re looking for.